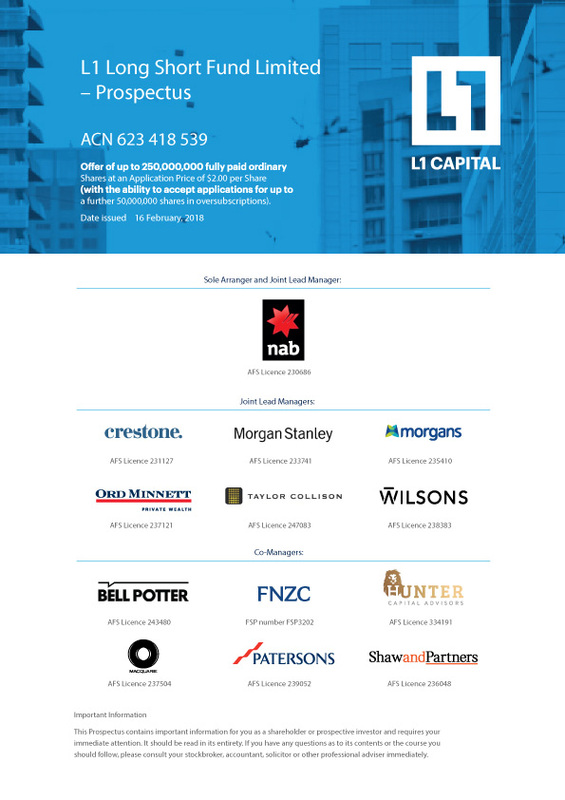 The offer has now closed for the IPO of the L1 Long Short Fund Limited. Shares are expected to commence trading on the ASX on 24 April. L1 Long Short Fund Limited provides investors access to an absolute return fund that offers a highly diversified portfolio of long and short positions based on a fundamental bottom-up research process.